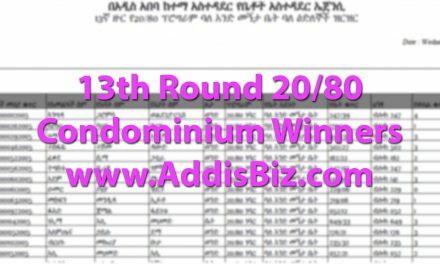 This is a list of names for 11th Round 20/80 Condominium Winners in Addis Ababa, Ethiopia. 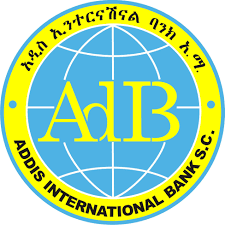 It was released on August 2016. 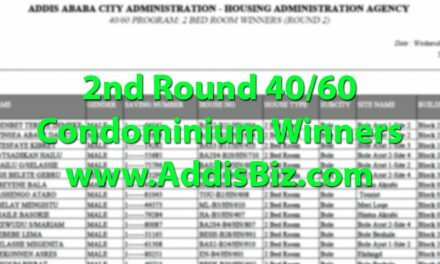 The condominium units are located in Kilinto, Bole Arabsa Lideta Kirkos and Project 15 Sites, Koyo Fiche, Bole Hayat Sites 3, 4 and 5. 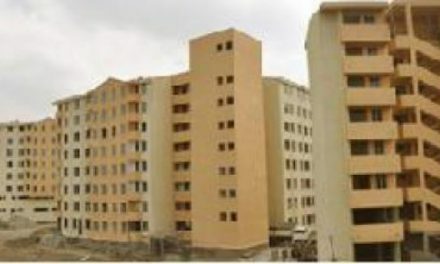 Green areas and public parks are also in their final stages of construction. 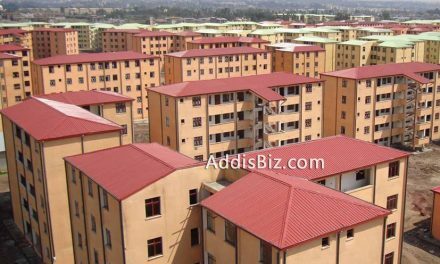 89 common buildings and 72 kilo meters of road have also been completed.